Here's to the future! If yours is looking bright and high-tech, why not celebrate with a look that says you're going somewhere? 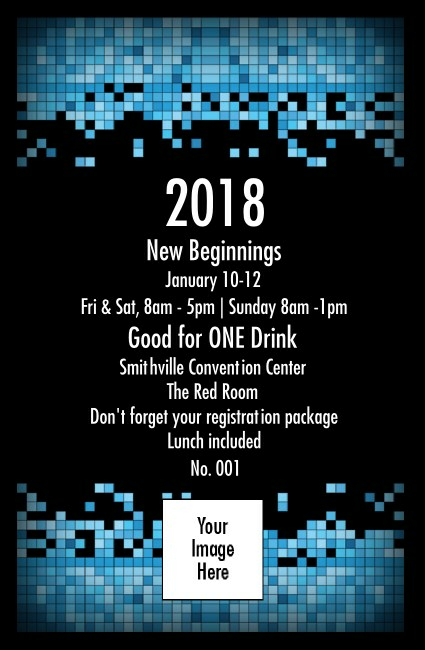 Try the Year Tech Drink Ticket for conferences and gatherings. For science, technology, computers, or modern music, you can't go wrong when you start with this high-tech template. Conquer the digital era with TicketPrinting.com.